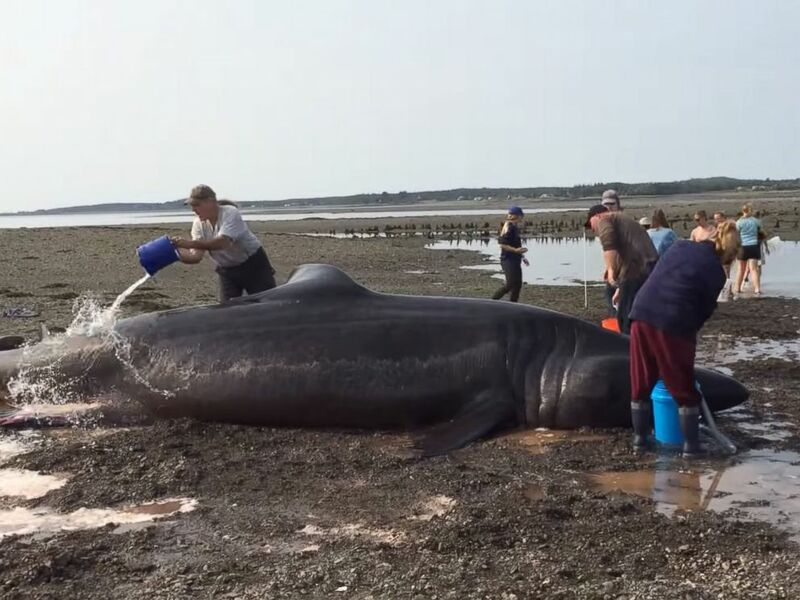 Beachgoers in Lubec, Maine, near the Canadian border, tried to save a 30-foot-long basking shark that recently washed ashore, according to a video showing the desperate rescue attempt. 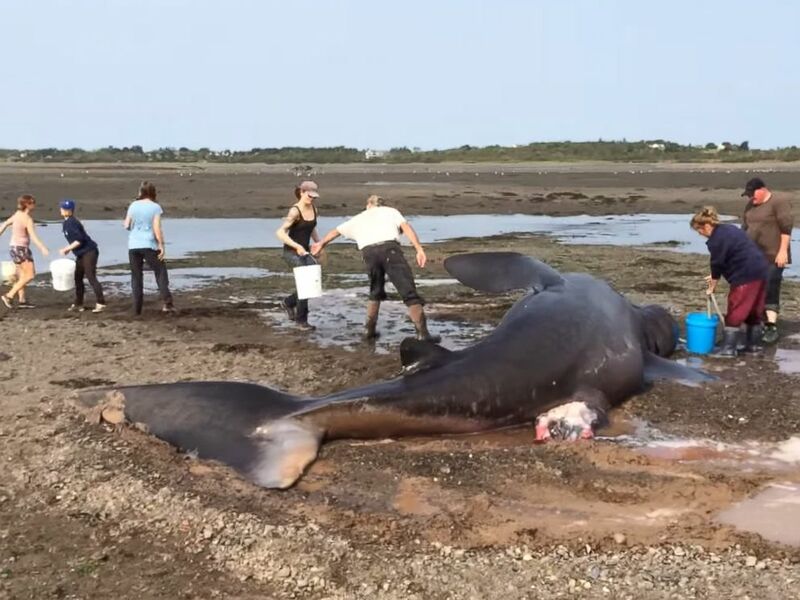 Onlooker Mark Olsen recorded the video Wednesday morning, when more than a dozen people spent several hours pouring buckets of ocean water into the large shark’s gills & onto its skin. The 30-foot-long shark can be seen immobile, lying on its side with a bloodied fin in the video. Previous Article What does Jewish thought have to say about the unusual occurrence of the blood moon? Next Article Where do you fit in?